The European Court of Human Rights (ECHR) said Tuesday that it had ruled against Spain over a 2010 trial of Basque militants who claimed they had been denied a fair trial. The European court said the judge, Angela Murillo, had then responded that she ‘already knew that he was not going to give an answer to that question’. As a result, ‘the three-judge court panel had not been impartial’ and thus violated the plaintiffs’ rights to a fair trial. 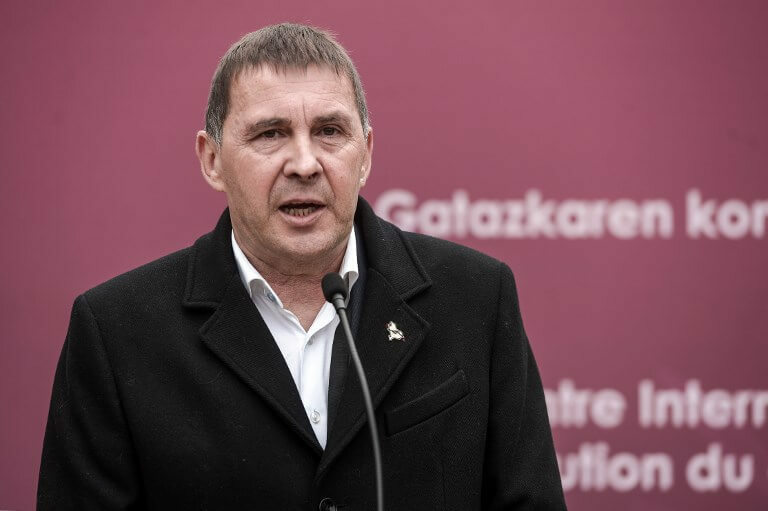 ‘Nobody can give me back those six years in prison,’ Otegi said after the verdict at a press conference at the European Parliament in Brussels, noting that his mother had died while he was behind bars. Otegi, now 60, is a former spokesman for Batasuna, ETA’s outlawed political wing, and now serves as secretary general of the Basque Sortu Party.